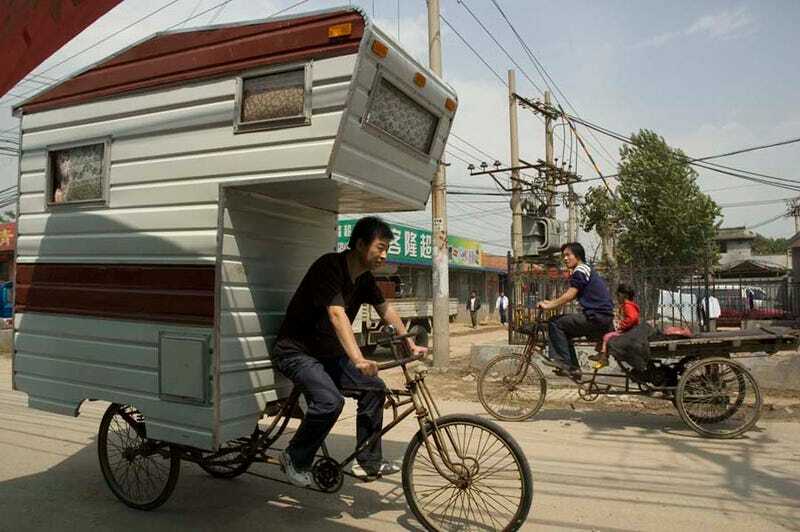 Houses are passe and RVs are overrated. The Camper Bike is where it's at. I don't care if sleeping—let alone functioning—in the thing is a physical impossibility. I WANT ONE. Artist Kevin Cyr worked on the Camper Bike in 2008, though little is revealed about the technical specs, it looks like an overgrown tricycle with a camper shell that's been sawed in half (maybe even thirds). A concept sketch also shows room for a couch, a bed, and a desk/table with a TV. I like it already.